Penelope Eckert is a professor of Linguistics at Stanford University. Penelope Eckert’s input into sociolinguistic research emerged in response to criticisms of William Labov’s studies. People questioned whether Labov’s focus on people in terms of their demographic categories (age, gender, ethnicity, social class) was really the biggest influence on language use. So along came Eckert with the idea of the role of social practice. A ‘social practice’ is what we share when we, as speakers, engage in an activity together. So, if you and someone else you know play football together, you are sharing a social practice. Detroit, in the U.S state of Michigan. What Eckert did in her research was define groups in terms of the social practices the speakers engaged in. She did this by observing friendship groups in a school in Detroit; this method of detailed observation of a community is known as ethnography. The jocks were a group in the school who actively engaged in and enjoyed school life. The diagram below shows their key characteristics. 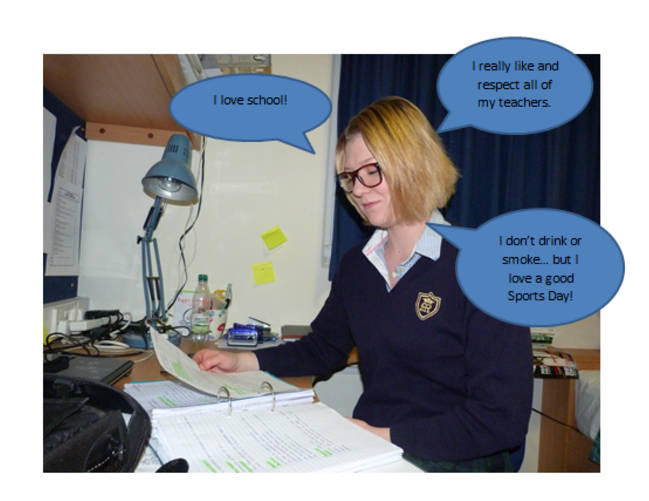 The burnouts were quite the opposite of the jocks, choosing not to become involved and interactive with the goings-on of the school and engaging in rebellious behaviour. Eckert found that people tend to speak more like their friends – those who shared social practices together – than others belonging in the same demographic category as them, ie. 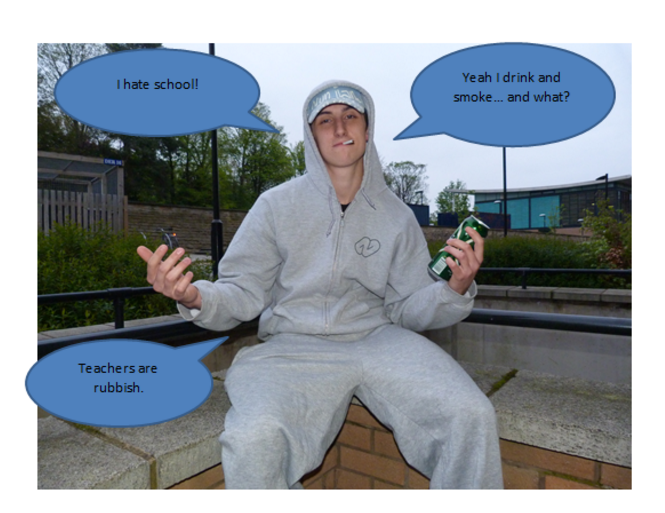 social class. If you had to observe the language of these two people from two very different social groups (so don’t share social practices), but from the same social demographic (age, ethnicity, class), what would you expect the result to be? Would you expect the speech of the girl in the top picture to be greatly different from the speech of the boy in the bottom picture? Would you expect the topic of conversation to be about school in a negative or positive way? Who do you think would be more polite and respectful towards others? Eckert, P., (1989). 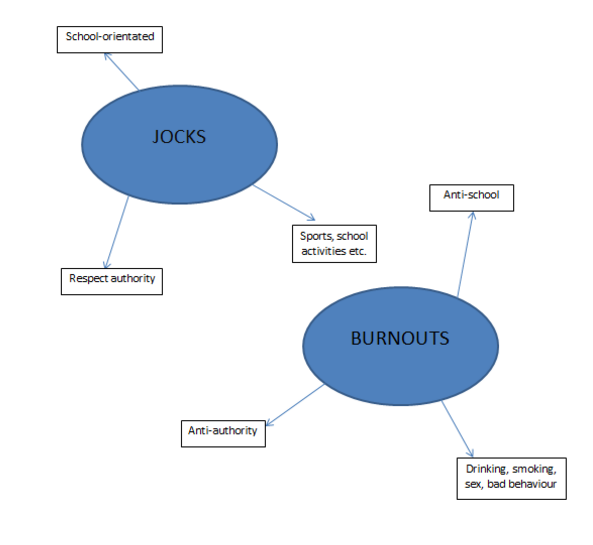 Jocks and Burnouts: Social Categories and Identity in the High School. New York: Teachers College Press. Eckert, P., (2000). 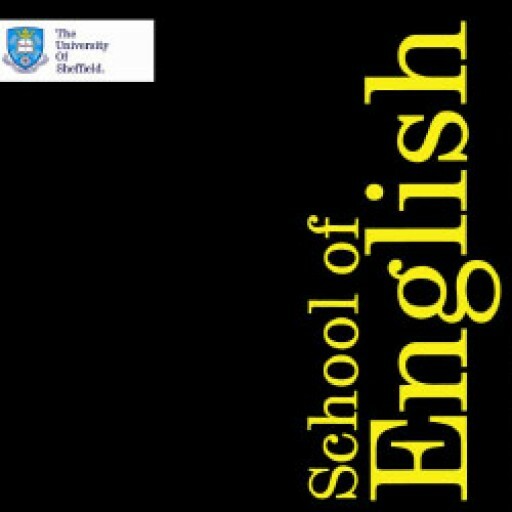 Linguistic Variation as Social Practice: The Linguistic Construction of Identity in Belten High. Malden. MA: Blackwell.